A lot of Estonia is covered by forest, and when driving around the country, it's no surprise one often drives through forested areas. Living here I get so used to it, I almost forget how different it is from my native country, the Netherlands. 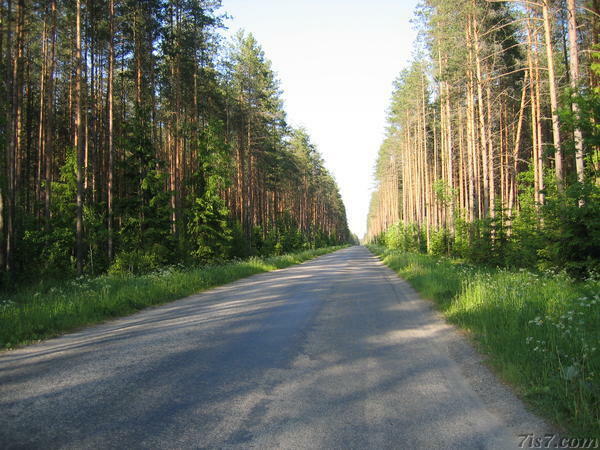 This photo, taken along a road out of Valga, shows the road as a corridor cut through the forest.